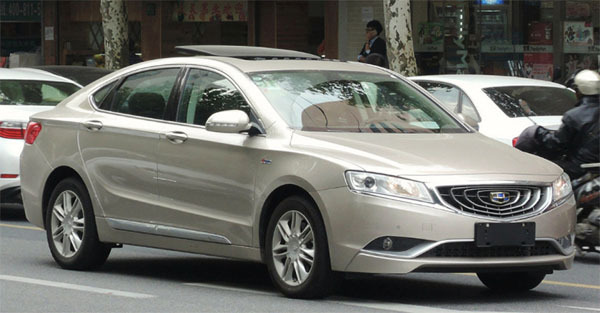 Showing what I think is a Chinese Geely sedan, with a different grille. It does look like the Geely/FCA talks might have gone further that we though. As some of these Geely models would really make decent Chrysler cars. 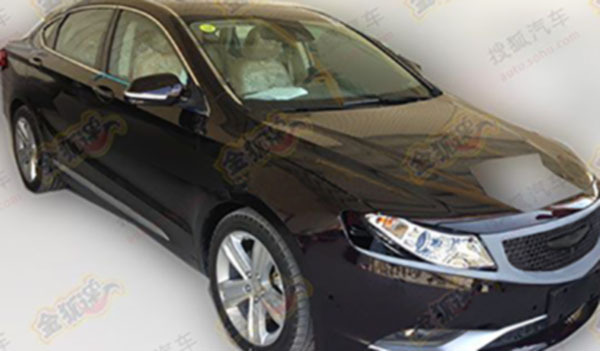 Here is the Geely model. Which I think is she same one as in the spy shot above. I am still amazed that FCA has totally given up on the sedan market, while others are still making so much money from it. I really hope a deal can be reach with someone else. Like Geely. Which, at least, would push Crazy/greedy/destructive/short sighted Sergio out. only Honda and Toyota are making money from their mid-market sedans in the US. Everyone else is there because of inertia, or because they sell in China. FCA doesn't have a big Chinese presence, and they can make $5,000 more per unit selling the same package as an SUV, so why bother selling cheap sedans? They would all end-up as rental cars anyway, which does damage to their other products. Damage to what other products? The 300? The Journey? Challenger? Sergio has bled those products dry - and the Chrysler name is SO damaged, I wouldn't be surprised if Geely said - uh, no.